In recent years we’ve become painfully accustomed to hearing about rising home prices and decreasing home affordability. And once again, a measure of national home prices, as well as NerdWallet’s own analysis of housing affordability, confirm the growing issue. But one analyst believes these trends may be as much about the lifestyle choices we make as the economic forces that drive them. The S&P/Case-Shiller national home price index moved another notch higher in July, marking a 4.7% year-over-year increase, according to data released this morning. San Francisco (+10.4%), Denver (+10.3%) and Dallas (+8.7%) continue to post the highest year-over-year home price gains among the top 20 cities considered. In an effort to measure home affordability, NerdWallet compared the Case-Shiller home price index to U.S. real median income, as reported by the U.S. Census Bureau. The gap between the two provides a nationwide illustration of whether housing is more, or less, affordable. A higher number indicates greater affordability, while a lower number indicates less affordability. 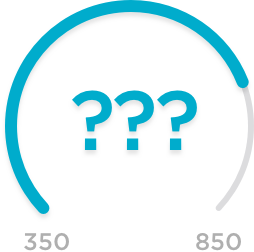 The baseline of the index, 100 points, is based on home affordability in the year 2000. The index currently stands at 53.44, down 0.39 points from last month and the lowest ranking of home affordability so far this year — in fact, the lowest measure of home affordability since November 2006, when the index stood at 53.39. 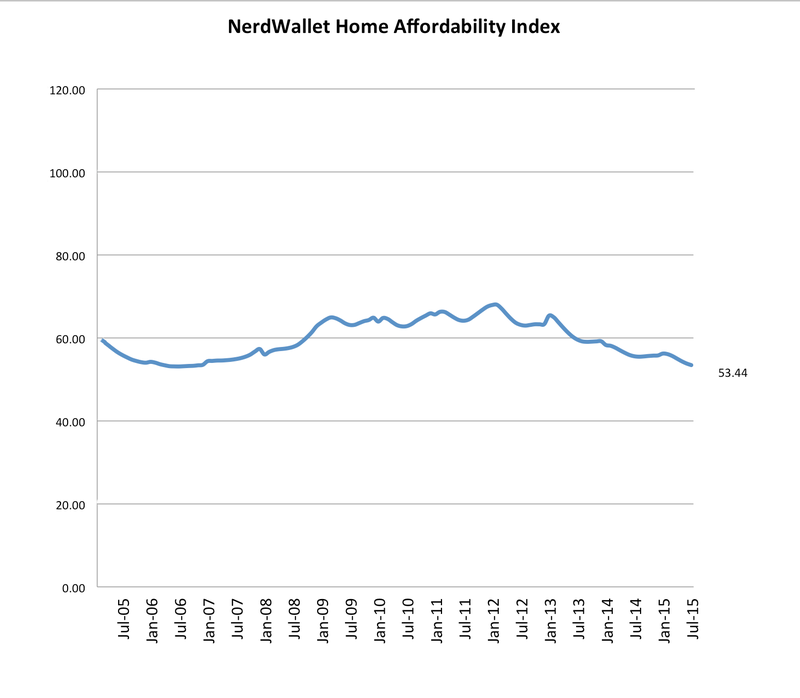 The home affordability gap illustrated by the NerdWallet Home Affordability Index is due to rising home prices combined with inflation-adjusted median household income that is 6.5% lower than in 2007, just prior to the beginning of the last recession. Doug Duncan, senior vice president and chief economist at Fannie Mae, says the Case-Shiller report confirms his team’s own research. “These data are consistent with our own analysis of house prices. Real (inflation-adjusted) house prices continue to grow ahead of long-term national averages as demand picks up faster than supply,” Duncan tells NerdWallet. He doesn’t expect the news to get much better through the end of the year — and points to one reason why. “We expect that home prices across 2015 will be between 4.5 and 5% higher than 2014. The bigger driver today is the slow pace of supply growth in new homes,” he says. Susan Wachter, professor of real estate and finance at the University of Pennsylvania’s Wharton School and co-director of the Penn Institute for Urban Research, draws a similar conclusion. “Rents and housing prices are pushing up far faster than the near-zero Consumer Price Index and 3.9% gross national product growth. Given low vacancies and low inventory, this is a trend that will persist,” Wachter tells NerdWallet. David Blitzer, managing director of S&P Dow Jones Indices, the home of the Case-Shiller index, believes the trend of rising home prices and lower affordability is also significantly affected by the lifestyle choices being made by today’s consumer. Blitzer says young adults between the ages of 20 and 35 have delayed marriage and starting a family, opting instead to remain single longer and to live in urban areas. That, combined with the changing housing desires of older adults who are also moving from single-family homes into apartments, is causing a shift in housing demand. The NerdWallet Home Affordability Index is a ratio of real (inflation-adjusted) median household income to the S&P/Case-Shiller National Home Price Index. Income is reported in 2014 dollars. For 2015 income, we assumed there was no statistical difference in income from 2014 and adjusted for an inflation rate of 0.67%. The index employs a base year of 2000. Household income was reported by the U.S. Census Bureau. NerdWallet senior analyst Kamran Rosen contributed to this article.